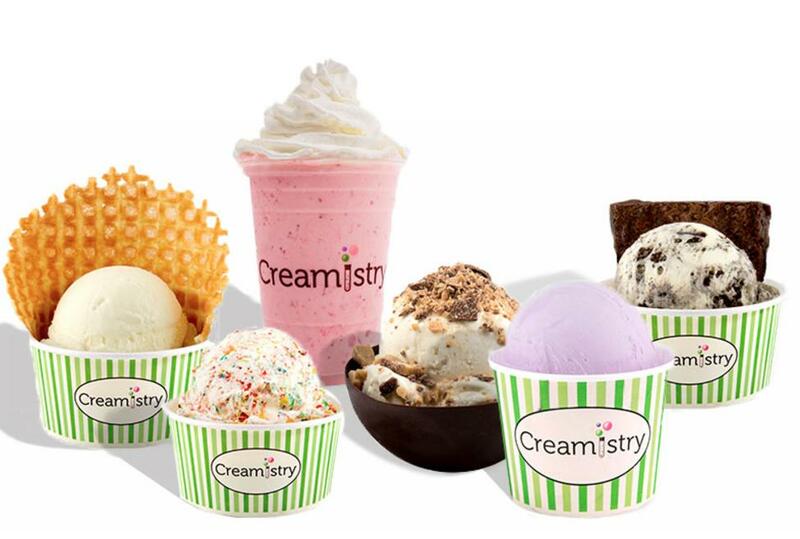 All of Creamistry's ice cream is made to order. This gives their cereal ice cream that fresh, out-of-the-box crunch and makes their Cookies & Cream ice cream stand out from the rest! Crispy, fresh, and never soggy! Or go from spoon to straw with a deliciously whipped NitroShake! Their customizable NitroShakes are the dreamiest blend of ice cream, mix-ins, and drizzles. Decadently rich and creamy smooth, take a walk on the blended side!